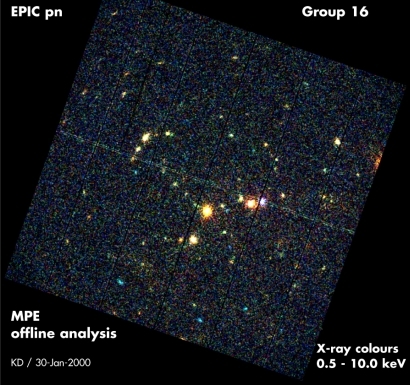 XMM brings to bear the largest X-ray telescopes in space, and this is shown here. These colliding galaxies are 170 million light years away, and are clearly visible to EPIC. 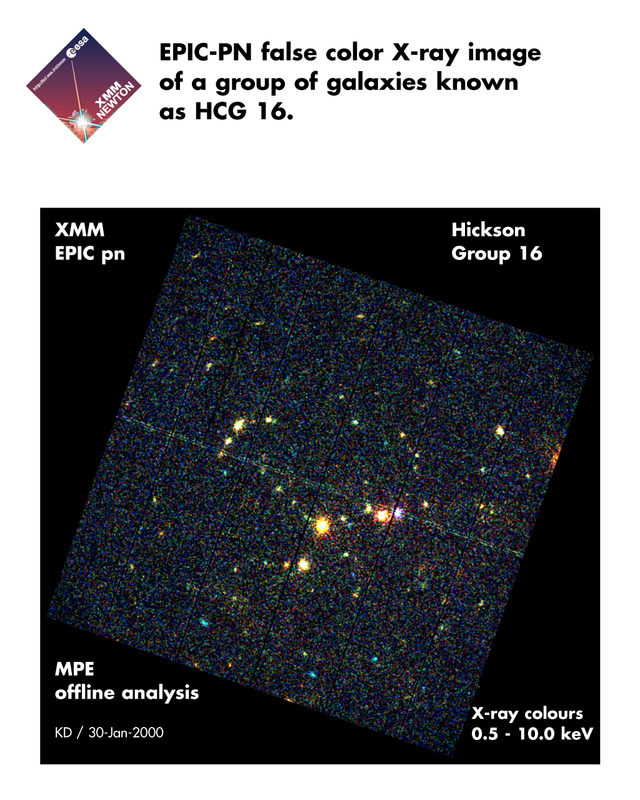 In the background more than a hundred faint X-ray sources are seen, most of these are new detections by XMM.